So we have been lucky enough to enjoy a long holiday weekend. And the sun was shining (mostly) and we ate out with friends, drank a lot of wine (yay) and had fun. 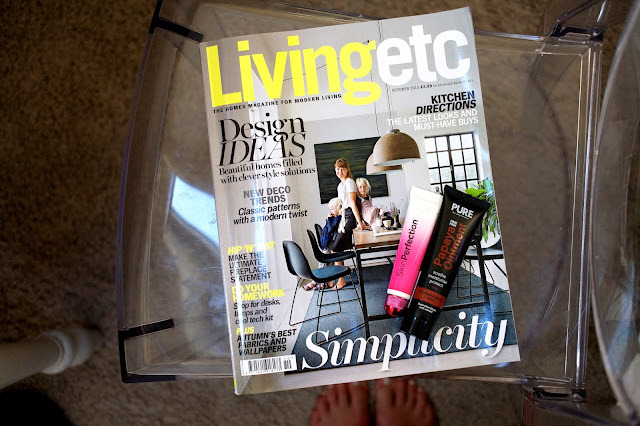 I The new Living Etc was delivered to my door Saturday morning and was enjoyed with a cup of strong coffee and some cake...but I have to be honest and say all these magazines have become so high end, you need to have like £10,000 to buy a frikkin coffee table. New beauty buys I am loving at the moment: L'oreal Perfect Blur and Aussie Paw Paw ointment from Whole Foods. I'm generally a makeup snob but L'oreal was on offer and I thought why not. II Loving a new heart shirt from Gap (sorry cannot get links to work properly today) worn with a necklace from Cos. Rich hates that necklace and shakes his head when I wear it. Lucky I generally don't take fashion advice from him. III. My current elliots have been a great buy. I wear them constantly as they are SO comfy. I think they are overpriced (£300 what the WHAT) but price per wear (and I got mine in the sale with 25% off) works out okay. Well, it's now Tuesday, but feels like a Monday, so I am doing what any working mother does on a Monday. I'm off to fill up a nice big glass of chilled Pinot and watch Cougar Town on LoveFilm. I am total agreement with you about magazines lately. It's like the $6,000 purses. I mean really? Anyway, loving the cute top and necklace. Gap has had some adorable print shirts lately. My friend had one with cats on yesterday. Also, we have a Loreal product called Miracle Blur and it must be the same..I love it! Use it all the time. 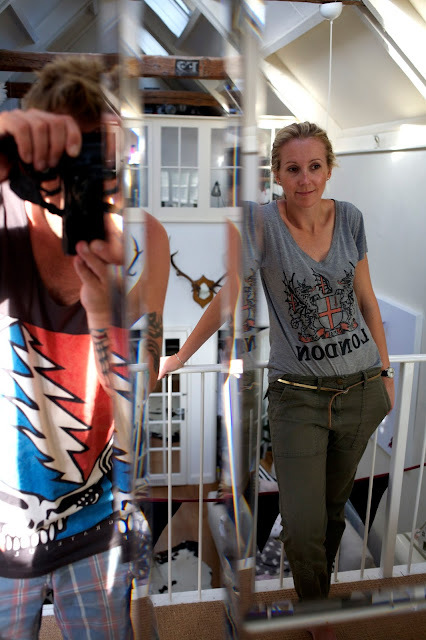 Thanks for your nice comment on my blog about Lucky magazine. I think I'm gonna have to subscribe so I can see what Eva does for awhile. I like both your blouse AND the necklace, I always love a black necklace and have a few myself! I want to try that L'Oreal product you mentioned. I'm with Kim, I think it's called Miracle Blur in the US and it got a good review on Into the Gloss. I must try it! 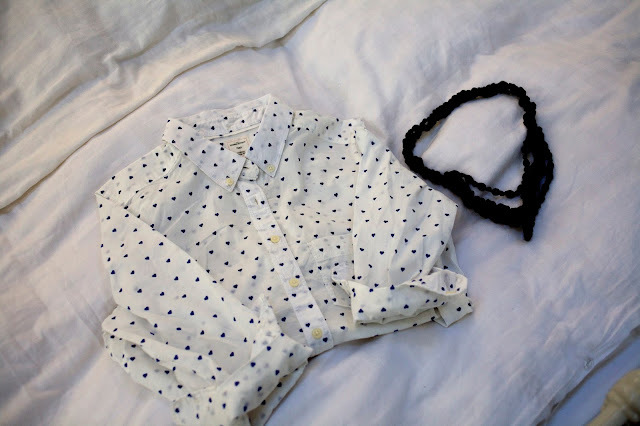 I'm SLIGHTLY obsessed with that Gap shirt... pretty sure I know where my employee discount is going soon! So fun getting new magazines in the mail that it's so worth it...such a treat!! Thank for visiting our blog - happy to be your newest follower!